Dieringer School District. A must see, Quiet Water, Zetterberg beauty, a block from Lake Tapps. Stunning entry, circular fl plan. Gourmet kit. granite C-tops, hrdwds, custom cabinetry, Viking aplcs, walk-in pantry & island, opens to expansive fam rm with gas fplc. Formal dining room. 4 lg bedrooms plus study. Master suite with 5 piece luxury bath, huge walk-in closet. New carpets, paint. Upgrades include custom shutters. 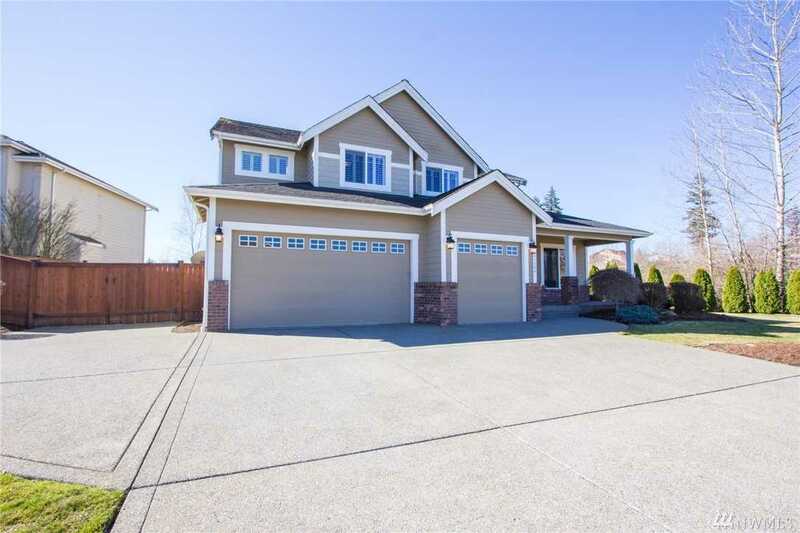 3 car garage and private fenced yd with lg patio. Sprinkler & secur system. Directions: Open house this Sunday April 14th, 1-4 pm. From Hwy 167 to Hwy 410 East, Left on 214th, go past Tapps Island, Right on 29th St E, first home an the right side.